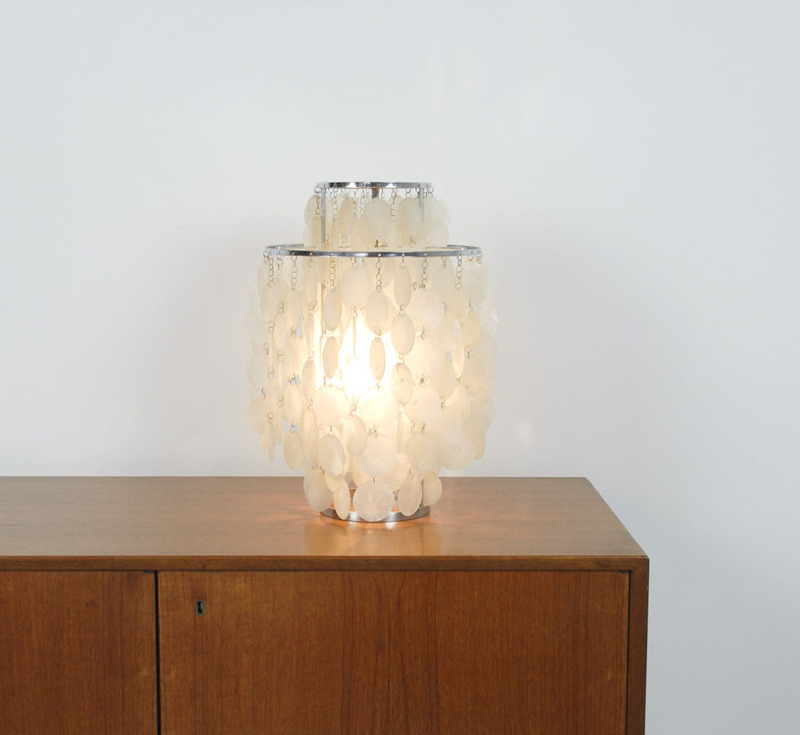 TWO-TM FUN TABLE Capiz-Shell 2TM PANTON LAMP - The Verner Panton Fun Table 2TM lamp is a part of the popular cascading capiz shell decorative fun-series of the famous modern designer Verner Panton who designed numerous spectacular pieces of furniture in the 1960's. The fine panes give the light naturalistic and elegant character. 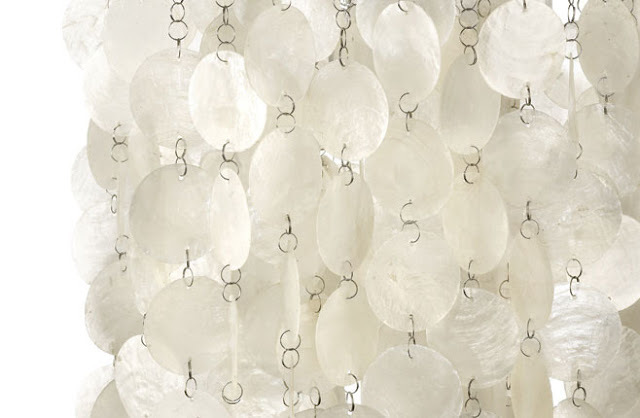 The panes hang on chains which are attached to two ferrules. The Fun 2TM lamp is part of Panton's Fun lamp collection which clearly displays his love of lush extravagance and functional elegance. 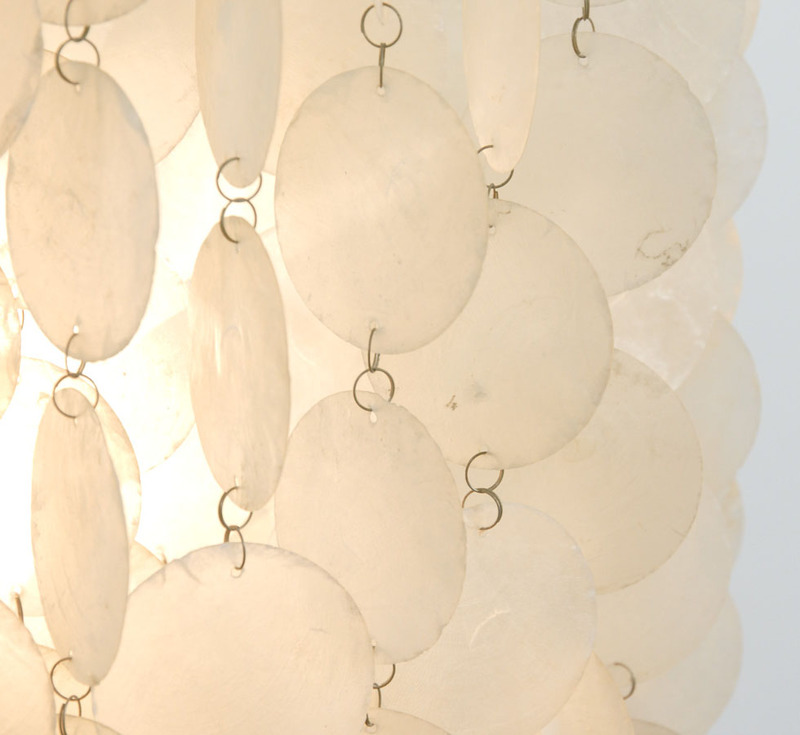 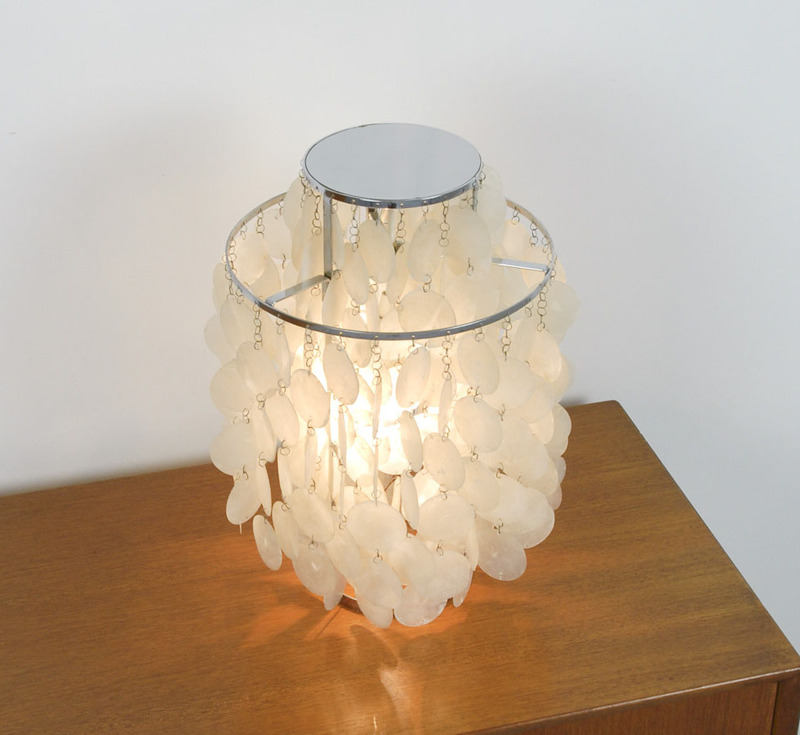 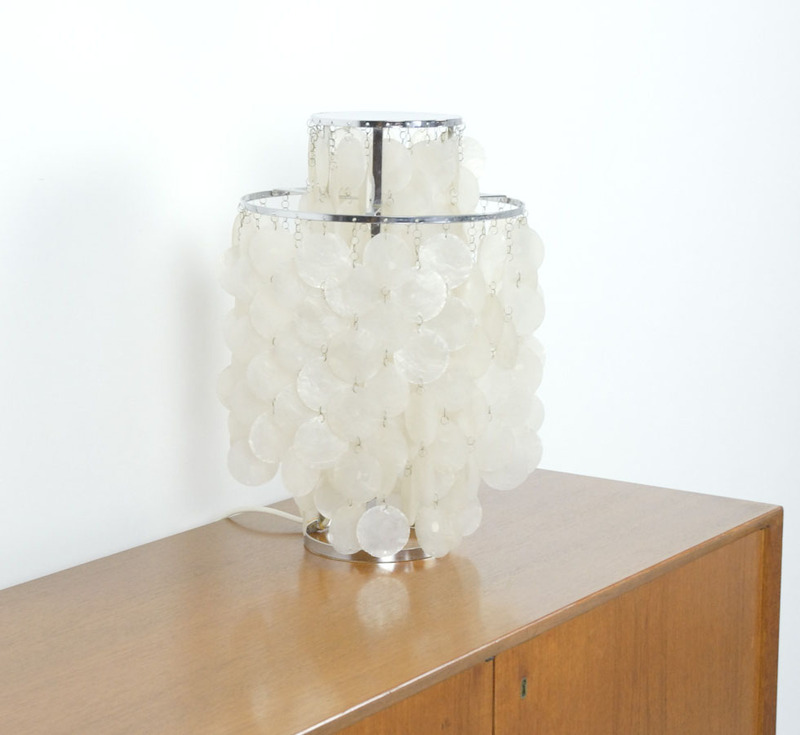 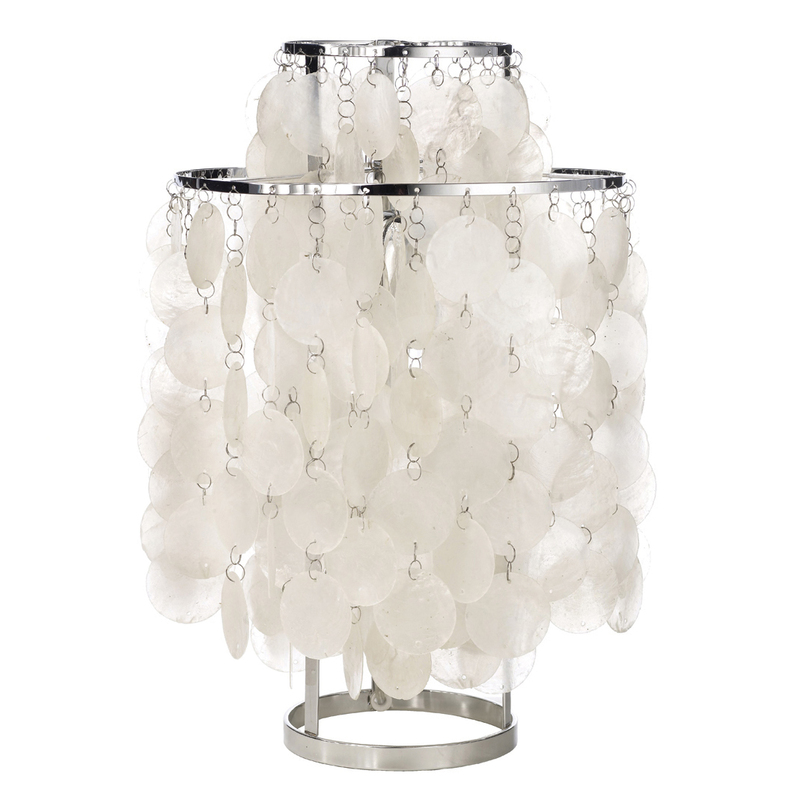 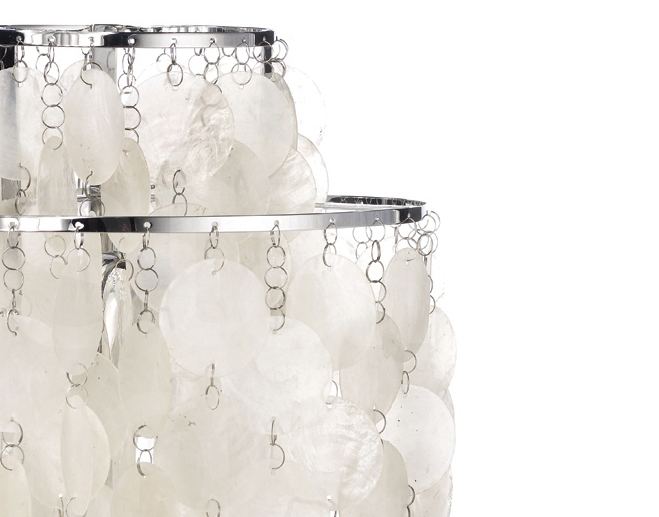 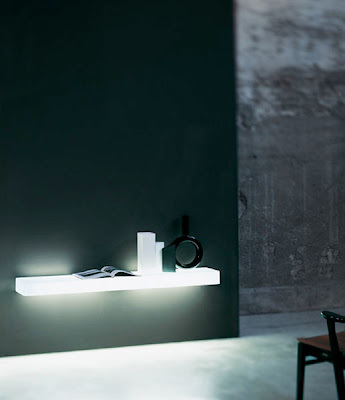 The Fun 2TM lamp has chains of thin pearl discs hanging from metal rings. 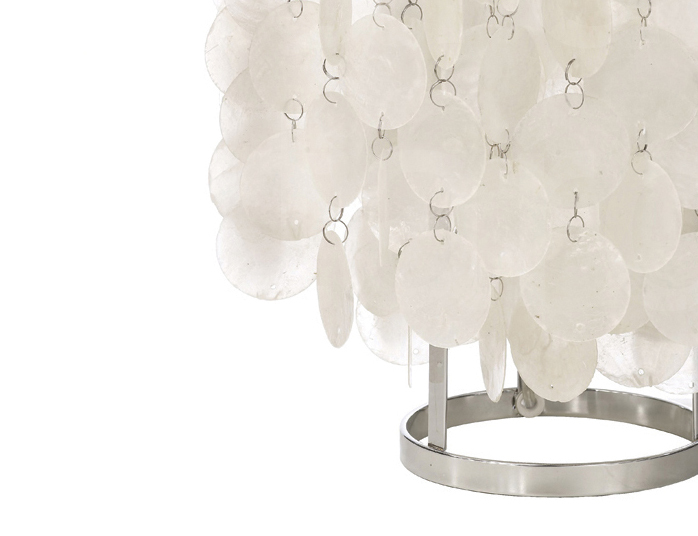 The discs spread and reflect the light from the bulb inside and movements from the discs create a cascade of shimmering brilliance. 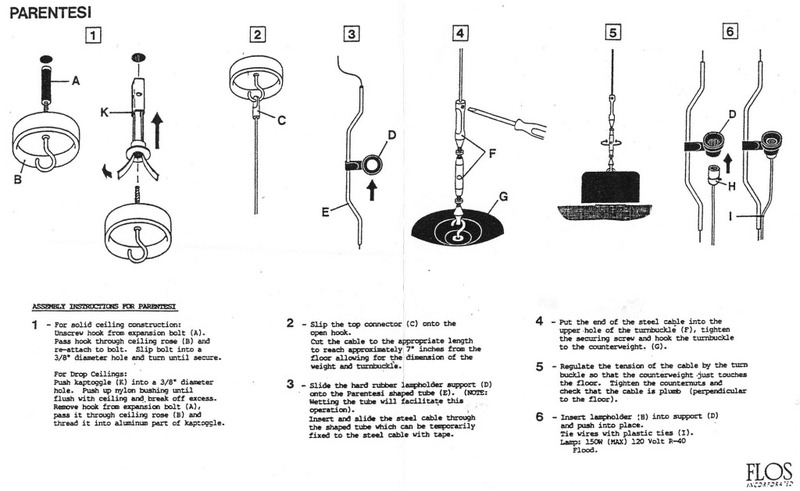 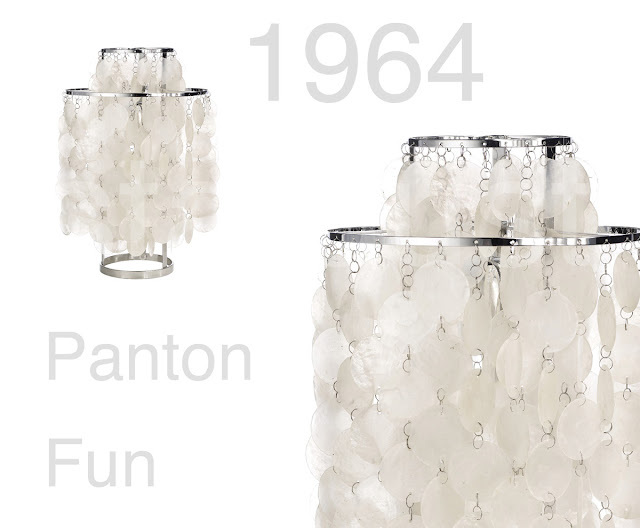 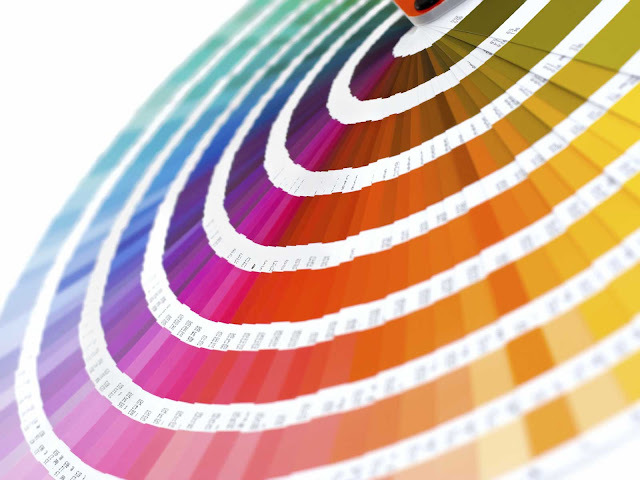 We love these beautiful images of the Verner Panton Fun 2TM lamp by Vintage Design Point.